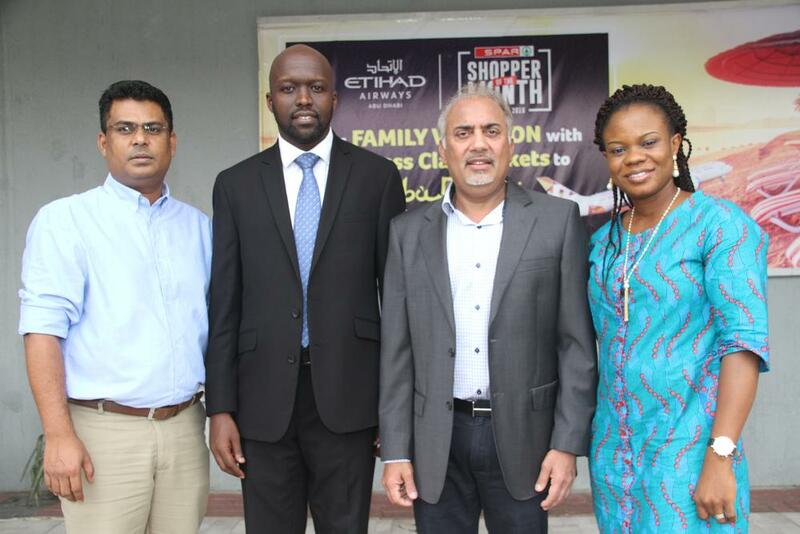 L-R,Head of Marketing SPAR Nigeria, John Goldsmith; Deputy Managing Director Artee Group, Prakash Keswani; Country Manager Etihad Airways, George Mawadri and Marketing Lead Etihad Airways, Folashade Akinboro at the unveiling of Etihad Airways as a partner of SPAR Reward Loyalty Programme. 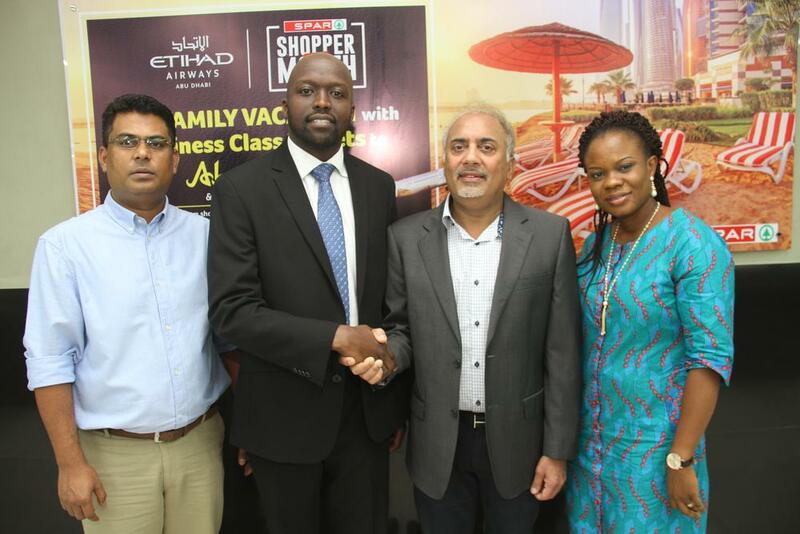 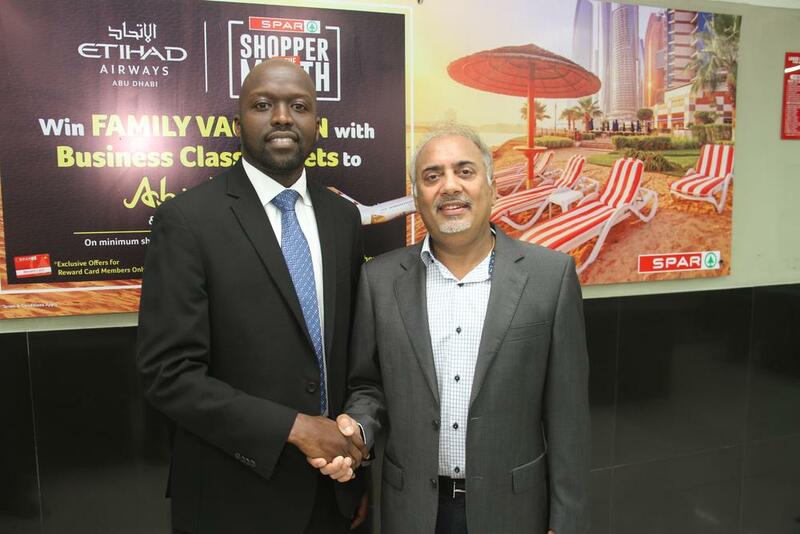 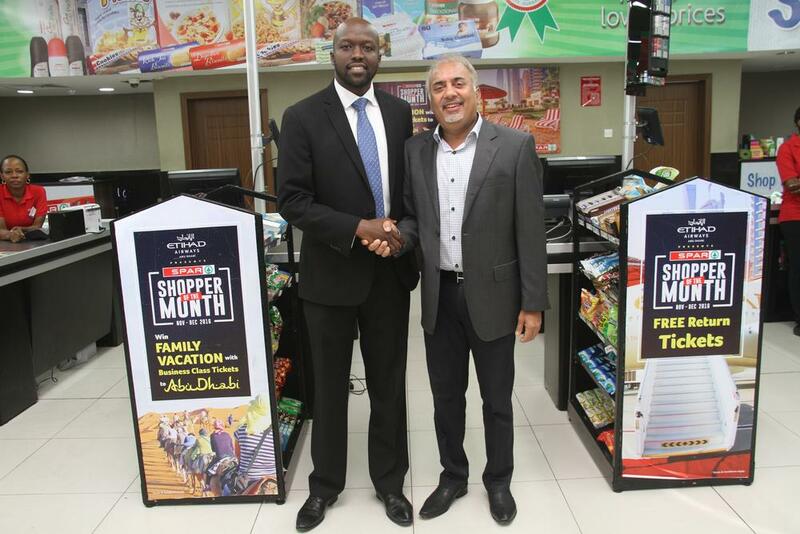 Etihad Airways, the official airline of the United Arab Emirates, has joined with SPAR Nigeria to reward shoppers under its SPAR Reward Card loyalty program. 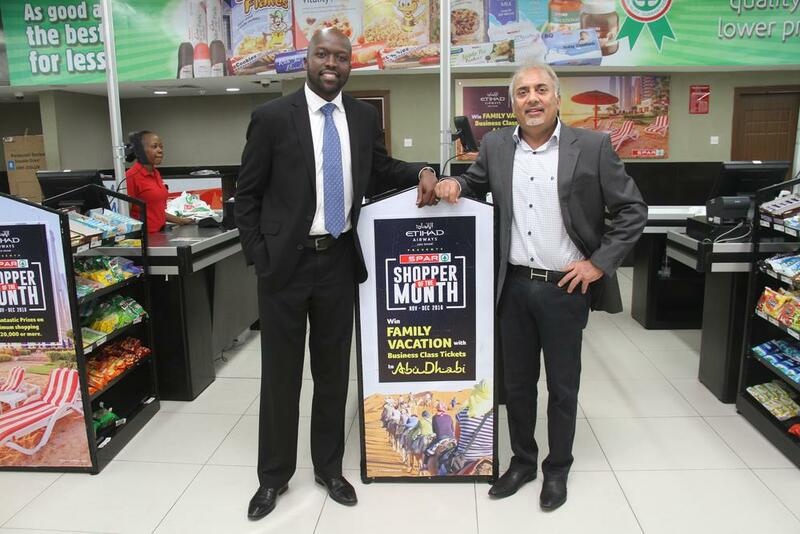 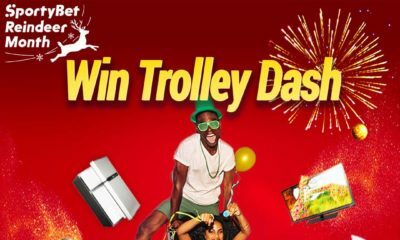 This campaign runs on a monthly basis and will be concluded with a grand finale in December 2016 when the SPAR Shopper of the Year will be announced. 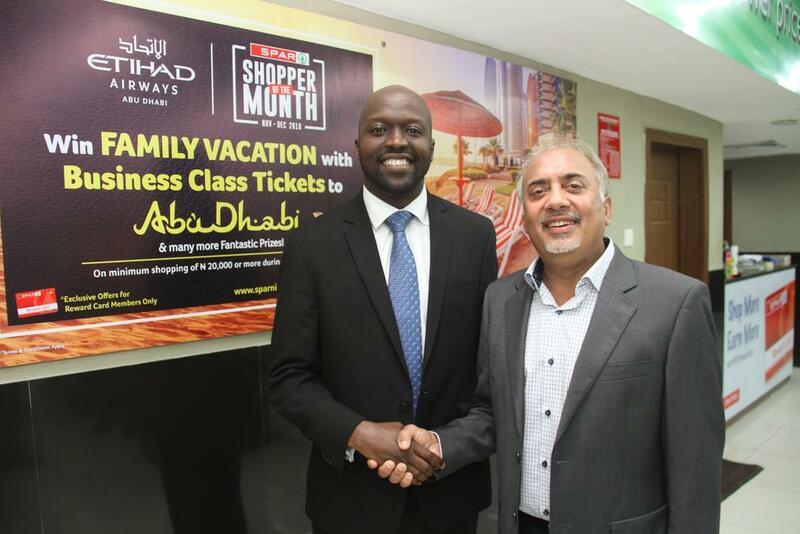 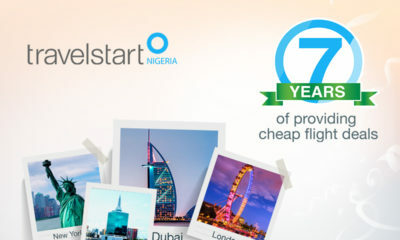 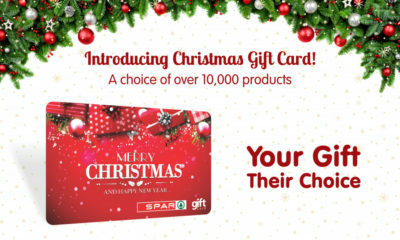 SPAR Reward Card customers who spend N20,000 or more in a month will automatically be entered into a grand finale draw, with the SPAR Shopper of the Year being rewarded with an all-inclusive visit to Abu Dhabi, the UAE’s capital city, including complimentary business class tickets and four-night’s stay at one of the leading partner hotels.